Norm Mindel may be a veteran financial advisor, but he has also earned the title of world traveler. Norm has visited four continents and more than 20 countries, including New Zealand, Thailand, Vietnam, Spain and numerous places throughout Europe. 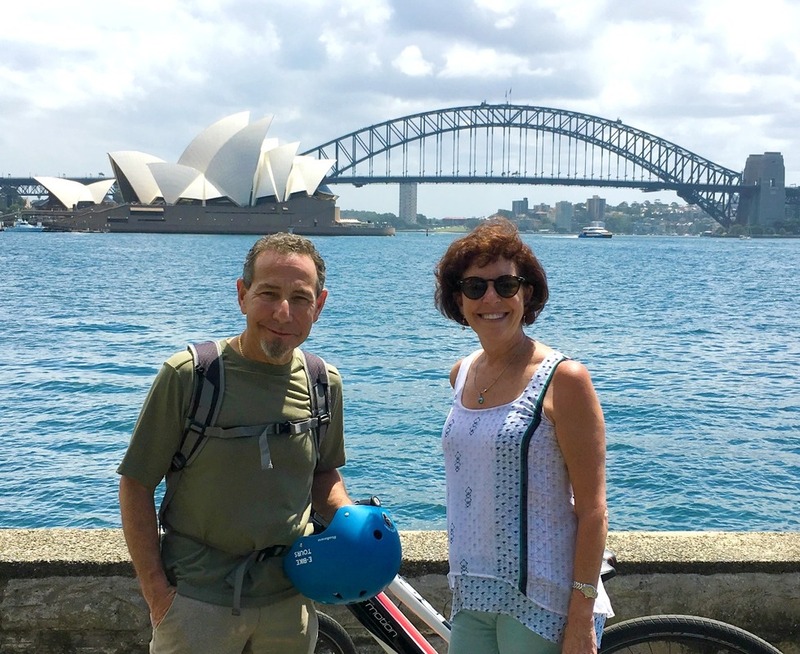 Just back from his second trip to Australia, Norm shares his thoughts about the country and some of his favorite destinations with five tips for international travelers. How long does it normally take to travel to Australia from the United States? Door to door, it takes about 24 hours. This was my second trip to Australia, or what the locals call Oz. Managing changes in time zones can be daunting, but it seems that going to Australia is less problematic then returning home. On the day we arrive at any destination, we try to stay active and get some sunshine. This seems to help. In February, you visited Sydney, Melbourne and Brisbane. How would you describe each city as compared to places in the United States? Sydney is the largest of the three cities. It blends the dynamics cultural mix of New York City and the look of Seattle. Melbourne would be the Portland to Sydney — a mellow atmosphere and very proud of their coffee and wine country. Brisbane is more of a working city with the feel of Chicago with its beautiful bay and great restaurants. What are some of the differences travelers should expect when visiting other countries? Pay attention to language and culture. When visiting France, the cultural differences are quite different than in the United States. Compare that to Australia, where there are many similarities and references to American TV, music and humor are welcomed and understood. What is your favorite city to visit from a culinary perspective? You can’t go wrong in San Francisco. We’re planning to go to Tanzania to see the wildebeest migration. It will be our second trip to Africa in three years. Most people leave their heart in San Francisco. Why do you feel such a strong affection for London? London has a tremendous history. I’ve been there 10 times, and I don’t get tired of exploring the city. You have the British Museum, the Big Eye, Buckingham Palace, Windsor Palace, Oxford, just to name a few. I tell anyone who is thinking of traveling to Europe that they have to spend a few days in London. You must go there at least once. Tip #1: Before you arrive, do some reading about the history of the place you are visiting. The locals appreciate it, and it will make your trip much more fulfilling. Tip #2: Nothing beats walking tours of a city with a local guide. Investigate other ways to see the sights, such as hop-on, hop-off bus tours, or even a helicopter ride. Tip #3: Try something different that you have not done before. Tip #4: Check on visa requirements and health requirement on the CDC website. Tip #5: Leave room in your carry-on bag for a toothbrush, toothpaste and a change of clothes. If the airline loses your luggage, you’ll be glad you brought along these essentials.